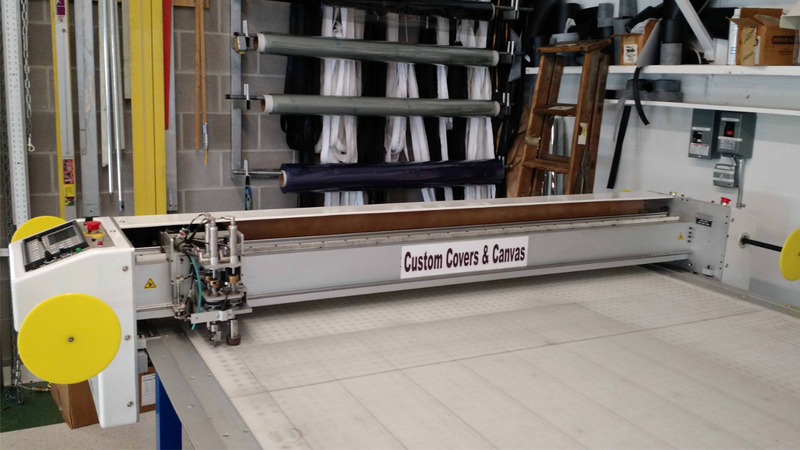 Custom Covers & Canvas has been a family run business since 1989. Our extensive knowledge and experience in the specialty fabrics industry have kept us in front of our competition. As part of the IFAI, we participate in our industry’s trade shows to further our knowledge and learn new techniques available to the manufacturing industry. Customer satisfaction is the #1 reason we have had repeat business over and over again. Our designers and salesman will make sure you understand each part of our process when quoting your job. After your job is properly installed it’s necessary for us to follow up with the customer and make sure he/she is 100% satisfied. Customer satisfaction is the best form of advertising for us, as this will ensure repeat business and sales leads from others. The company started in 1989 manufacturing party tents for the rental industry. After a few years of renting tents, furniture and lighting was added to our inventory. Learning the tent manufacturing industry enabled us to expand our products into various markets. We quickly learned that shading with fabric is in a state of high demand. 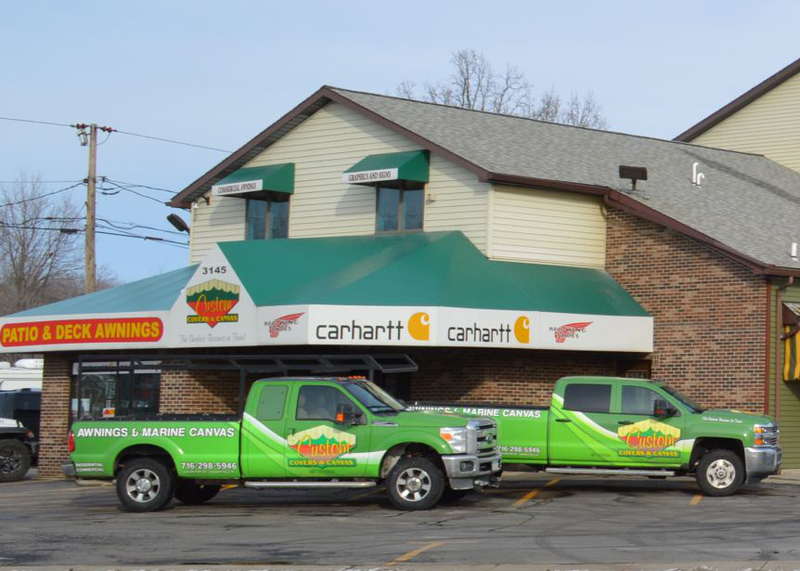 With tent rentals being a seasonal business only in Western New York, the company looked for products in demand during the winter months. Marine fabrication was something that expanded our business in the summer months, and enabled us to market Winter Storage Covers in the cold months. Starting a marine canvas business quickly made us realize how much detail and time is involved on each boat. With experience in fabrics of all different sorts, we decided to manufacture patio covers for home and business. Starting out with frame supported fabric covers, we learned the tricks of the trade custom making Sunbrella® patio covers. Building galvanized steel frames for our covers quickly became a major role in the company. 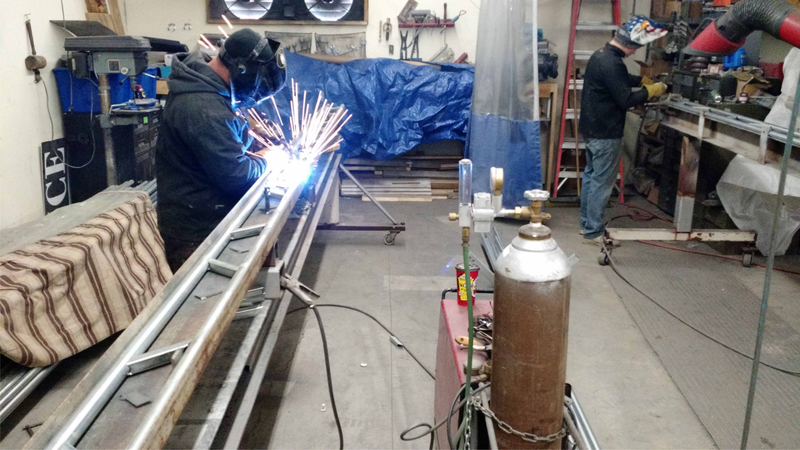 Instead of being only a sewing shop, we now have a crew for building frames, a crew for patterning marine canvas, a sewing shop, a welding shop, an aluminum framing shop, and service crews. 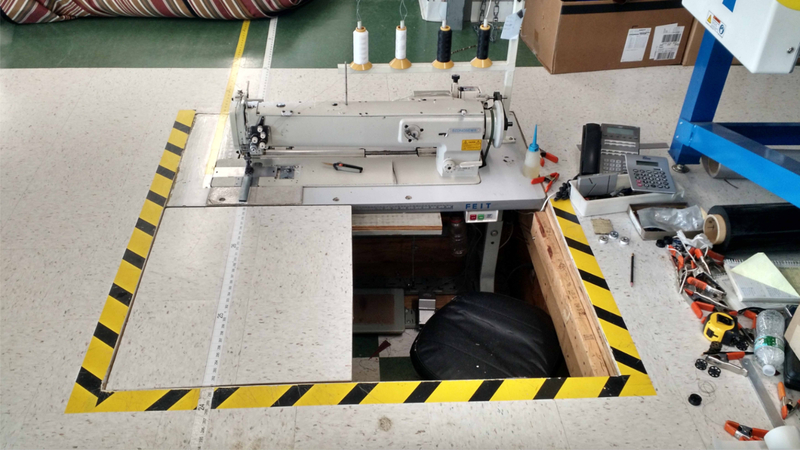 As our growth continues, we are researching and investing in the latest technology to help us design, test, and manufacture specialty fabrics. Using CAD software and computerized cutting equipment, our company is in front of our competition.